This spacious, detached split-level four bedroom property is in need of some upgrading, having the benefit of oil fired central heating and double glazing. The accommodation is mostly on the first floor with a garage and bedroom beneath. 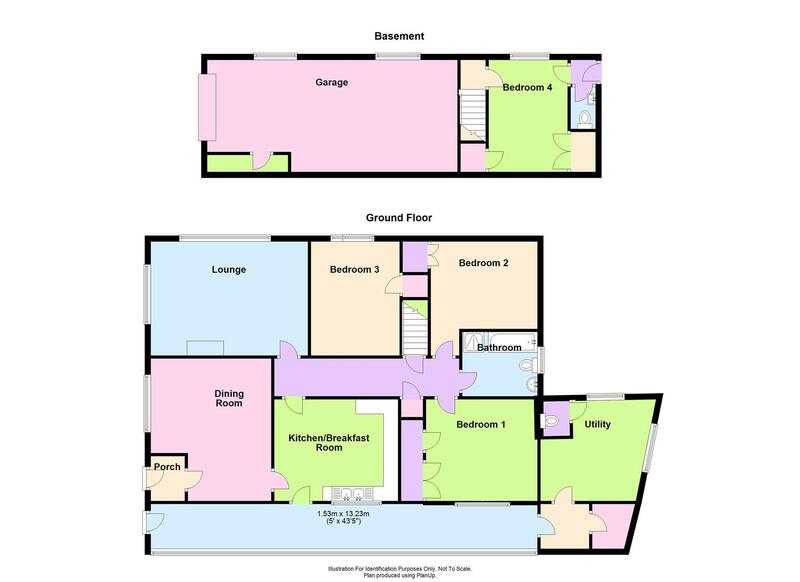 Porch, dining room, living room, kitchen, three bedrooms, bathroom, utility, conservatory. The property occupies a lovely peaceful situation with no immediate neighbours, whilst enjoying lovely open aspects to the front. The property is located approximately 8 miles west of Shrewsbury and conveniently placed for access to Welshpool and Oswestry. A beautifully situated, spacious and individual, split-level detached house, offering scope for general upgrading and improvement. Rear Hall - 1.52m x 13.23m (5' x 43'5") - This room runs across the length of the rear of the building with plumbing for washing machine. Separate WC and Boiler Room. The property is approached over a tarmacadam drive with parking area leading to the garage. Gardens extend to the rear and right hand side of the property, being partly wooded with paved sitting areas with stone retaining walls and wide selection of shrubs and conifers. There is a large mainly level area with timber and felt garden shed and separate access onto the road.